The $139 Welding Machine! How Good Can it Be? Well actually it is pretty darn good. And when you consider that these new machines are selling for a small fraction of the cost of the European and American competition, it looks even better. If you want to work with metal in your home shop or small business, sooner or later you are going to have to get some welding equipment. Luckily for all of us, we are living at a time in history when decent, low priced, feature packed, welding machines are easy to get and amazingly affordable. Now there is almost no excuse for not having a good machine. Having a welding machine is a real game changer. When you get your first welder you will look back and wonder how are you ever lived without one. It is a tool that elevates your game to new levels. Without a welder you are basically a parts changer. With a welder you step into the creative world of people who make things. Without a welder many of the jobs I do would be impossible. I like to restore, modify, and upgrade old Toyota 4x4s. Making exhaust systems, repairing frames, building bumpers, and making tools would be out of reach without a welder. I made a custom towbar that works on several different generations of Toyota trucks and 4runners. I have repaired and modified trailers, and replaced rusted out sections of a Toyota 4 x 4’s frame. There are also little jobs that are just as satisfying. When you need a special tool, even something as simple as a crankshaft pulley holder or some custom stands to hold up an axle housing, making these things quickly and exactly to your specifications is unbeatable. There is also the satisfaction of saving money. By sourcing metal from salvage yards and recycling centers I am often able to get steel for pennies on the dollar and often enough for free. This is the world that opens up to the person who owns welding equipment. Enter my latest buy. 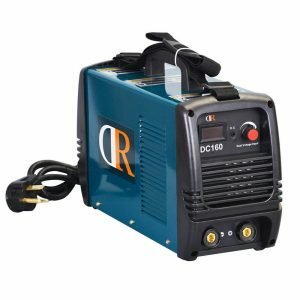 I recently scored a 160 amp stick welder for the amazing price of $139! I had read the reviews and found people praising this machine for being capable of welding up to half inch thick steel. The specs said the machine had a good duty cycle and that it would be able to run on either 120 V or 240 V. It sounded almost too good to be true. After all, American and European welding equipment manufacturers are offering machines with similar features that cost roughly fifteen times as much! $139 was a small risk to take on the chance that this machine would really do what the published specs says it would do. So I ordered it and I have now had it for three or four weeks. I have used it to install a new crossmember in the frame of a truck that I am restoring, repaired my trailer’s jack, and I made an emergency repair on the deck of a riding mower. I have done these things and so far I have only welded while the machine was plugged into 120 V. Welding quarter inch steel with 6013 welding electrodes at around 105 Amps was no problem. After using my low powered wirefeed welder for the last couple of years I am really impressed with the penetration that you can get with a stick welder. I also had some fear that stick welding would be hard to get back into after all these years. I am happy to report that I was able to make passable welds right away. I am not going to win any awards or get any certifications, but I am feeling more confident that some projects that I’ve been wanting to tackle, building a tow dolly, and eventually a car hauling trailer, are within the capability of this amazing $139 stick welder. On the other hand, my skills can use a little improvement, but now I have a stick welder to practice with. In the final analysis, I have only had the welder for short a time and I have only welded with 120 volt input. Even so, I am impressed with what I’ve seen so far of this machine that I am looking forward to getting a larger selection of electrodes and hooking it up to 240 V to see what it can do. Only time will tell if the durability is there. Even if it only lasts six months or year, the total cost will be less than a couple days rental of a comparable machine. I can’t really see any downside to buying one of these machines. If you have wanted a welder and the money has been holding you back, now is the time and this is the machine. As a matter of full disclosure, if you purchase any products through links on these pages I stand to earn a small commission. 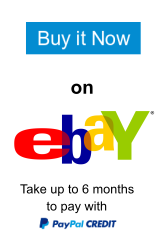 I rely on this kind of income to keep the lights on and to keep the reviews coming. I am first and foremost a DIY enthusiast who loves wrenchin’ on cars and bikes, and making custom tools and shop equipment. I like to review products that are helpful to that end. I did not receive any free merchandise or other payments to influence my selection of products or my opinions about those products. Welding has some element of risk. Always consider safety when undertaking a welding project. Welding involves high temperatures and sparks that could cause a fire or injury. Proper safety gear is a must, including personal safety gear like eye and face protection, gloves, sturdy shoes and long sleeve shirts. Always consider the possibility that you could start a fire while welding and keep a fire extinguisher handy.